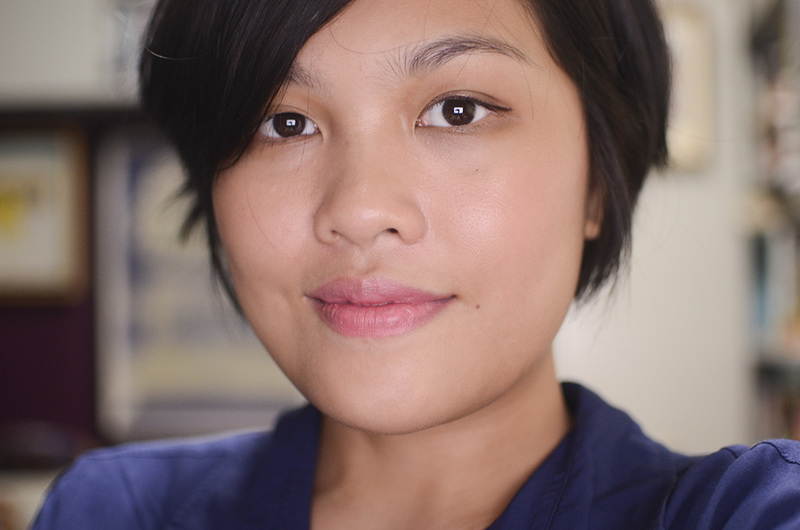 For months, I hemmed and hawed, thinking about whether or not I’d spring for this $68 foundation. Yes, $68. It’s kind of ridiculous—jk, it’s really ridiculous—but I’m kind of ridiculous, so there’s that. 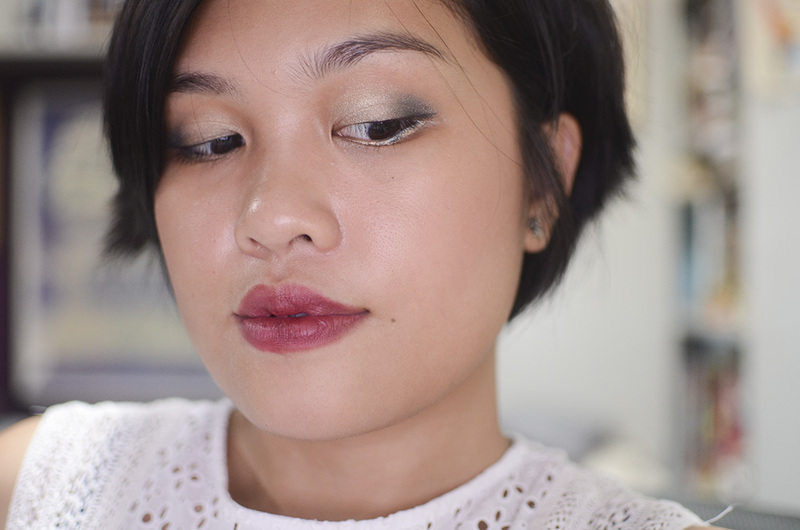 I have a few face bases already, but I wanted to try out Kjaer Weis because it’s pretty known in the green beauty world (and otherwise). The reason for the hefty price tag is the hefty compact, I’m guessing. 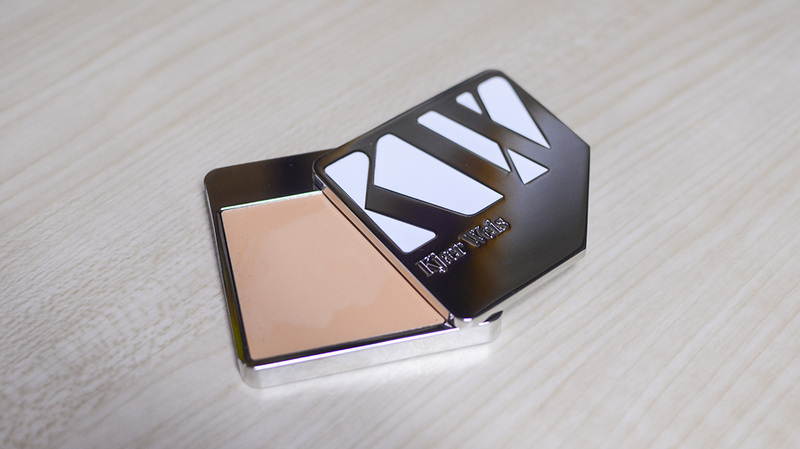 All the Kjaer Weis products come in a “Refillable Make-Up System” that feature really heavy cases that remind me of my Guerlain Rouge G lipsticks and refillable compacts. In theory, there’s less waste and you can elect to go case-less if you really want to go minimal. There’s a refreshingly short list of ingredients for this cream foundation: Sweet Almond Seed Oil, Capylic/Capric Triglyceride, Coconut Oil, Corn Starch, Cera Alba, Carnauba Wax, Jojoba Seed Oil, Polyglyceryl-2 Diiososterate, Tocopheryl Acetate, Mica, Titanium Diocide, and some iron oxides for the pigment. It’s certified organic, too! The texture of this foundation is fairly light for a cream and it blends really easily on my face, with my fingers, even without a primer. Just Sheer is created for fair to medium fair skin with olive or golden undertones. 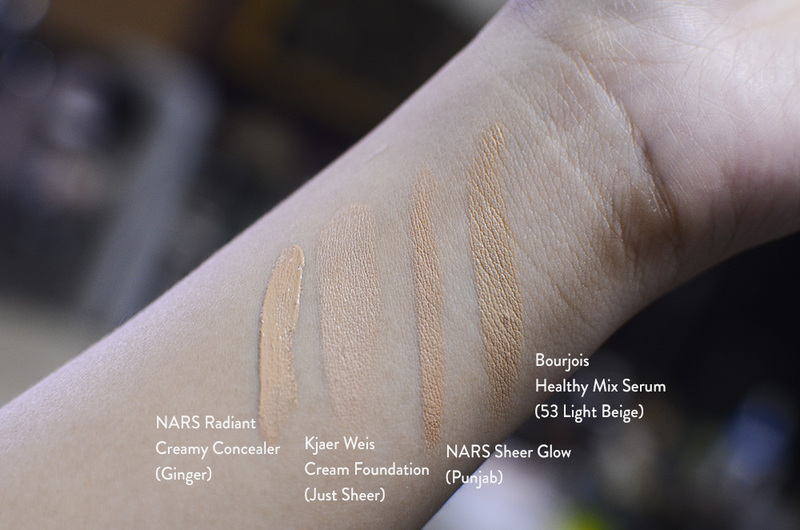 It is “a natural, warm beige color that achieves a semi-matte, flawless finish.” I’ve tried to apply it with a flat foundation brush (Real Techniques Essential Foundation Brush from the Travel Essentials Set), but I found that while it blends the product beautifully, it doesn’t pack on the pigment as well as fingers do. So, what I do is apply with my fingers and blend out with the brush… if I can be bothered. Someone actually asked me what base I was wearing because it was nice (hi Karen!). 🙂 I mean, if that’s not an indication of a good product, I don’t know what is. The coverage of this foundation is also pretty good because I didn’t even have to use concealer on my under eye area—just this. I love how natural it looks and how it didn’t accentuate my pores or anything like that. The cream foundation refills are $40 a pop. Still pricey, but worth it in my opinion if you want to go the green beauty way. I don’t know what you guys think… but I think I’ve found a winner, you guys! As in, HG material. This sounds really interesting! 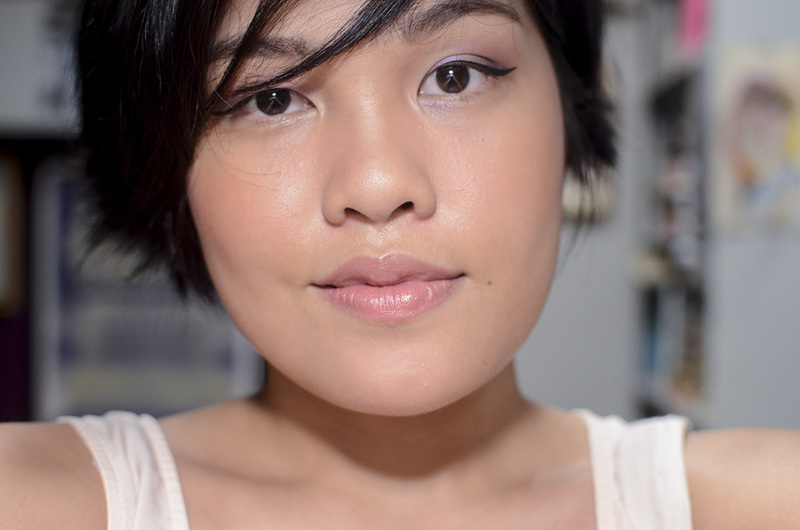 I hate buying foundation sight unseen, though – so hard to get a correct color match. 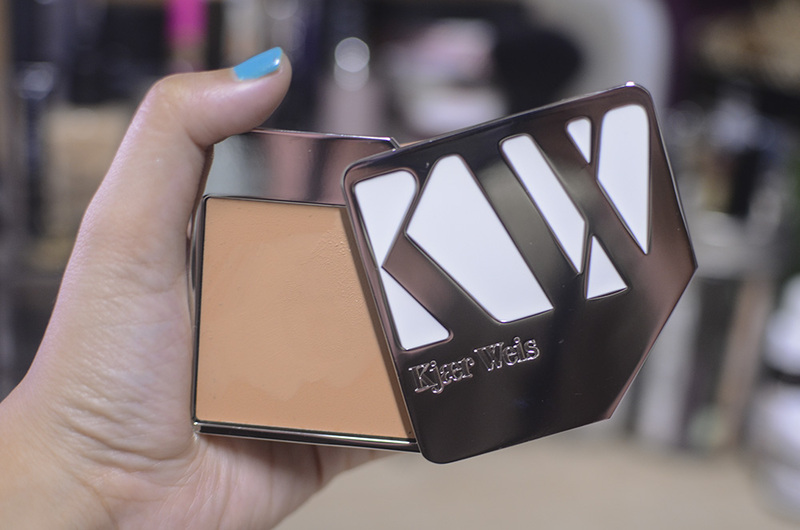 This foundation looks beautiful on you. Would it enhance flakes, or is it drying at all? this looks amazing on you! 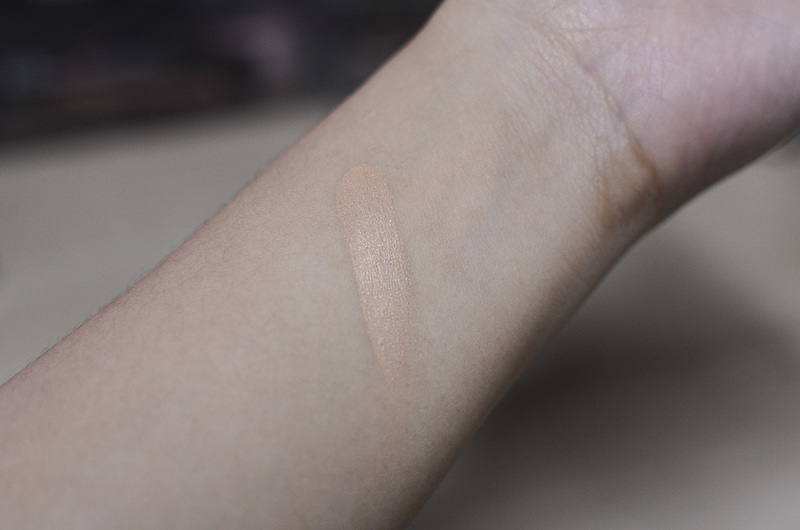 i’m shocked what a good match the shade is, swatched i thought it would be the right one for me (about NC20) but applied it looks flawless. Thank you, Zoe! It blends out really nicely, which is why I think it goes well with my skin color. 😀 I think I’m NC35-ish! HAHAHA I love how that positive comment is followed by a nervous emoticon. Heyyy this looks nice! I’m still obsessed with BB cushions at the moment, though. My Iope has not yet arrived! I was saying I really like how this looks on you! I’m not sure how my skin will fare with a formula that contains oil and wax tho. Might want to check it out first in real life if it’s possible! HAHA let me help you 😀 You can buy the refills for much less, but where’s the fun in that? ?